Here’s where you can download my collection of Spiritual Six-Figure Secret Weapons. 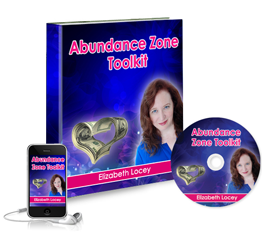 Learn to assess your energy signature, and what to do to bring it back into the Abundance Zone if you’re stuck in fear. This is especially key if you’re about to talk to a potential client with repellent energy. Discover why using Intuition is the keystone to success (Sir Richard Branson swears by it) and how you can, too. Start using THE tool that will help you make spot-on decisions every time. Making decisions (the right ones) quickly in your business is a key to success, and I walk you through it here. People rave over this one, so don’t miss out. Enjoy, and let me know how you’re doing with your new tools!